We offer programs to fit the beginner as well as advanced and ranked players. 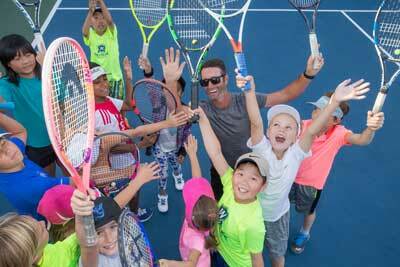 Along with our high-level clinics, we also offer beginning clinics for the youngsters just starting out in tennis. Many of our top players start off in the beginner clinics before progressing to the higher level. Our beginner clinics use the USTA 10 and Under guidelines including low-compression balls and shorter courts. The Junior Program is host to many great events throughout the year such as USTA tournaments, VCJTA tournaments, Color Wars, the Amazing Tennis Race, WAC Junior Championships, Parent/Child Tournaments and other fun events. In addition WAC fields 4-5 Junior Team Tennis teams each season that represent Westlake Athletic Club with many of the teams qualifying for Sectionals each season. For players who want to gain competitive match play experience or to improve their match play experience, WAC offers the Junior League program which is coach-supervised match play on Saturday afternoons.